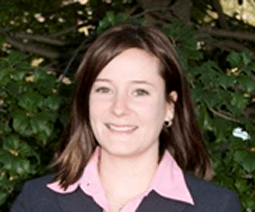 Jessica Milloy (formerly Goobic) joined FMP in 2007. Jessica specializes in organizational effectiveness, workforce analysis, strategic planning, onboarding, outreach and communication, leadership development, training and development, and project management. She has worked with a broad range of Federal and non-profit clients, helping organizations define and solve problems to increase organizational effectiveness and achieve their mission. Her current and previous clients include the National Science Foundation, the National Park Service, Amtrak’s Office of the Inspector General, the National Industries for the Blind, the Department of Defense Education Activity, and the Consumer Financial Protection Bureau. Jessica has significant experience managing multiple, concurrent projects with complex deliverables and timelines and manages business development activities to support FMP’s growth in both the Federal and private sectors. She holds a B.A. in English and Secondary Education and an M.S. Ed. in Adult Education and Human Resource Development, both from James Madison University.